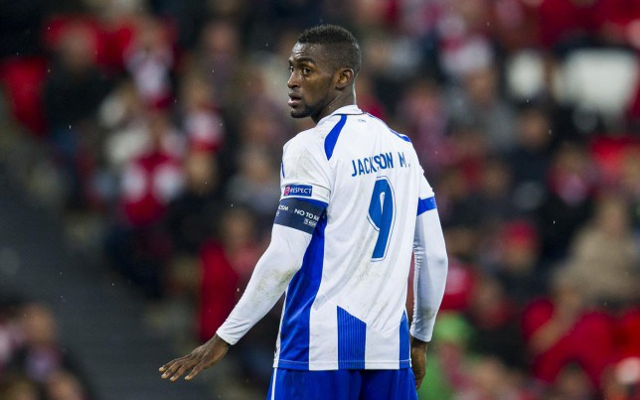 Atletico Madrid have rejected a €30m bid from Tottenham Hotspur for striker Jackson Martinez. According to Marca, Spurs registered the bid-money offer for the player with the Spanish heavyweights, but Atleti—perhaps unsurprisingly—rejected the bid outright, having only paid €35million to sign the striker during the summer [latter fee via the Spanish source]. According to the report, Spurs were so keen to wrap the deal up quickly, that they didn’t seek to negotiate or communicate with agents and intermediaries, and instead went directly to the club with an ambitious bid. Their attempts for a swift transaction have ultimately come to nothing, and the search for Harry Kane’s partner—or cover—in north London has continued into the final fortnight of the window. The England international has overcome a slow start to the campaign to continue to hit the back of the net with unswerving regularity for the Lilywhites, and he is currently the joint-fifth top scorer in the division. However, Spurs are increasingly reliant on the England international, having lost Clinton N’Jie to injury, and having offloaded the likes of Roberto Soldado and Emmanuel Adebayor during the summer. Having had their bid for Martinez turned down, Spurs may look to make concrete their reported interest in Saido Berahino, with the London Standard noting that the Lilywhites are also keen on the West Bromwich Albion forward.